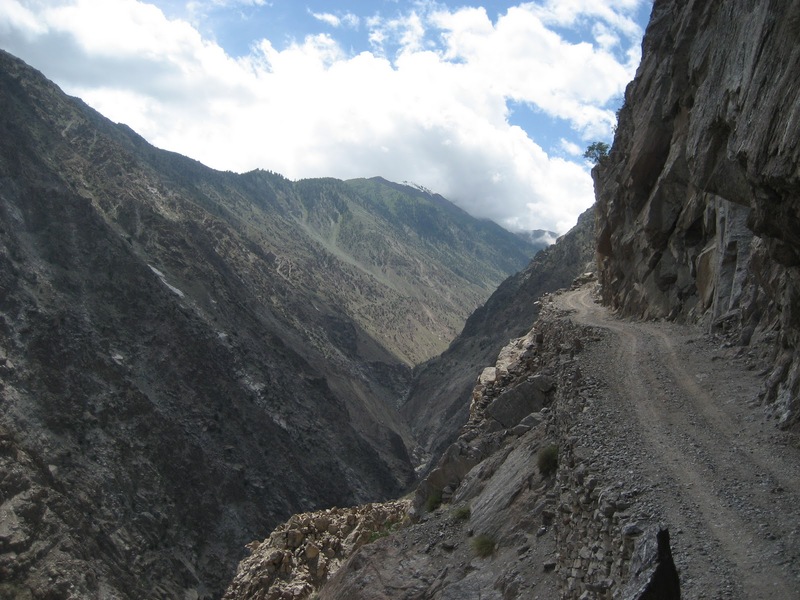 Consistently ranked as one of the most dangerous roads in the world, the Way to Fairy Meadows in Pakistan will definitely scare off even the bravest and most skilled of motorists. Carved right on the face of the Nanga Parbat mountains (with a jaw-dropping height of 26,660 feet), the Road to Fairy Meadows does not inspire any of the whimsy one might associate with a place called “Fairy Meadows”. As one could expect with a mountain road, the path is roughly formed from rocks and dirt, no actual pavement was done, and the worst part is, the narrow winding road does not have guard rails on the sides. There is absolutely nothing that will prevent a vehicle from careening off the road and falling onto the ravine and the gorge below. And the roads are very narrow—there is just no way that two 4x4 vehicle can fit into the path side by side. The road is not very long, but all of its six miles will pose a challenge even to the bravest and most skilled of drivers. Getting to the picturesque Fairy Meadows is not very easy—aside from driving the six-mile dirt road, you will need to leave your vehicle at a certain point and get on a bicycle or go on foot to the destination. Many drivers caution that while the Road to Fairy Meadows is a great adventure, actually pushing through the trip is definitely not for faint-hearted or nervous drivers. A single mistake in the treacherous road to Fairy Meadows will result into a painful, fiery death. Even careful and skilled drivers who have prepared for the drive to Fairy Meadows will have to watch out for a wide variety of things—from the condition of the road, the condition of the vehicle one is driving, and the challenging surfaces of the road to inclement weather conditions. All of these factors can accidents. The end of the road, Fairy Meadows, is a wonder to behold. It is so beautiful that any driver who have survived the extremely difficult six-mile drive will likely say that all the stomach-dropping bumps in the road is well worth it. Known among the locals as Joot, the Fairy Meadows were named so by German hikers because of its majestic, otherworldly views. Perched on the base of the Nanga Parbat and situated more than 3,000 meters above sea level, the Fairy Meadows serve as a base camp for hikers and climbers seeking to conquer the mountains’ Rakhiot face. Braving the drive to Fairy Meadows is best attempted during the site’s peak season, which begins at April and ends in September. During the spring and summer seasons, the Fairy Meadows is truly a sight to behold—with its thick alpine forests covered with pines, birch, willows, and oaks. Wildlife sightings include musk deer and brown bears. When driving through this treacherous road, make sure that your Jeep (anything bigger than this vehicle will definitely not fit the narrow road) is in perfect working condition and you have a local guide with you.